If you are injury free and New to HQ then the best place for you to start is in one of our Beginner Reformer Classes. 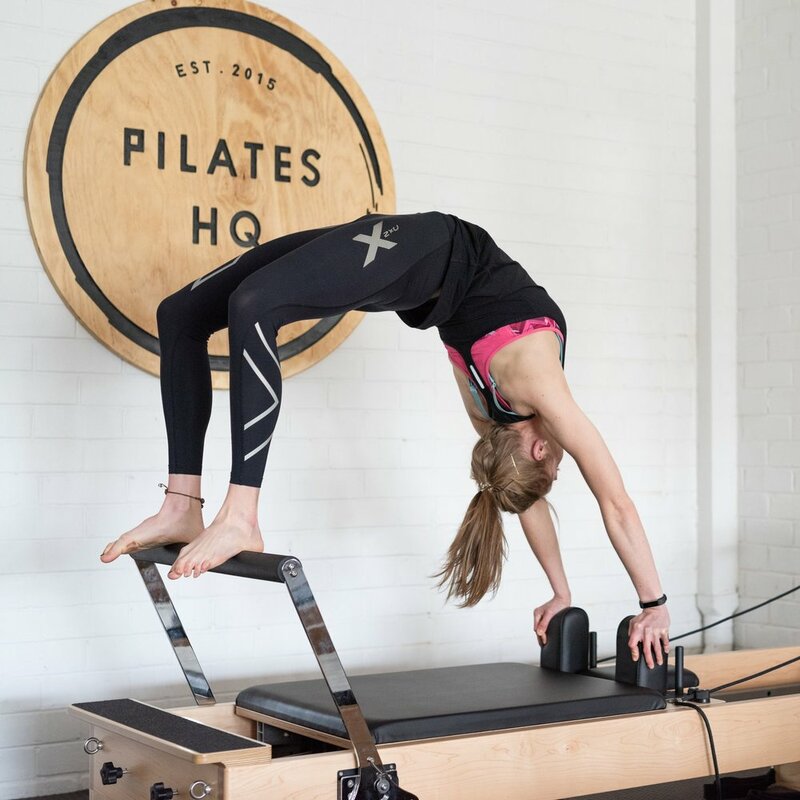 These classes are designed to help you feel comfortable in our Studio and confident using the reformer. We will teach you how to use the reformer and teach you the main exercises and positions that form the foundations of our classes. This class will build on your base level of strength, and control and challenge you to work towards some more challenging exercises. Get Ready to move a little quicker and to feel challenged in all the right ways! Once You can achieve certain exercises you will be moving on up to our Advanced Classes. This is our most advanced class! The exercises flow quickly from one exercise to the next and will help prepare you to reach an end goal/exercise. Think High Bridges, Handstands, Side Planks - and all those Instagram Worthy Shots. You’ll be performing these moves in style in no time. We understand that life can get in the way of appointments and that you may sometimes need to cancel or reschedule your booking. If this is the case please be sure to give us at least 24 hours notice. If you fail to give adequate notice, or you fail to attend you will be charged the regular class fee.